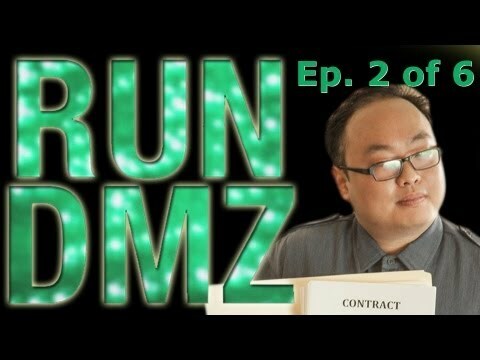 The web series Run DMZ with Dumbfoundead continues with episode 2. Jordy from Ken Jeong’s Grill pays Mama Park’s Korean BBQ a visit after the mom and pop restaurant gets ransacked. When Apple tries to place her regular order, she discovers the her favorite restaurant is trashed. Jon convinces her that the restaurant is still open for business and has an intimate dinner with her. Apple suggests street justice for Jon to avenge the destruction of Mama Park’s Korean BBQ. With his eyes locked on revenge Jon goes to find Tito for some help. This entry was posted in comedy, food, shorts on June 19, 2013 by Kevin Hsieh - channel APA.